Laverock Bridge carries Mealbank road across the River Mint just outside Kendal and South of Skelsmergh. The bridge is mentioned in documents dating from 1692. The bridge is a steep, single arched structure, which was once a narrow pack bridge. 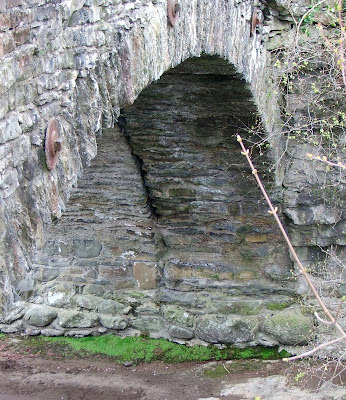 The North side of the bridge is the oldest\original part of the bridge, and can be seen beneath the single arch as the narrow section of brick work. The South portion of the bridge is the later (undated) portion of the bridge, added to increase the width without necessitating the building of a completely new bridge. The oldest part is the right hand section. The newer part, is the left hand section. In 1708\1709 the bridge was judged to have been in a poor state of repairs, and documents show that the Chief Constable, Mr Will Shepherd was instructed to inspect the bridge and arrange any necessary repairs. In October of 1726 the local High Constable was instructed to again inspect the bridge and assess the necessary repairs. In this instance, William Newby was contracted to carry out the repairs, which were completed in 1727. For this work, he was paid £3 10s. 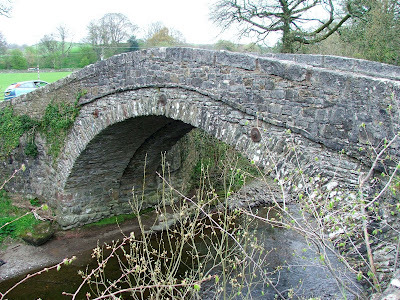 In 1738, the bridge was partly demolished by Joseph Sisson of Kirkby Kendall (Kendal). The records do not state why he caused the bridge to be damaged, but for this act of vandalism, he was fined 6d. In January 1748, the bridge was once again judged to be out of repair, although this time, records don't state what remedial action was taken. In April 1756, the bridge's state of disrepair was judged to have been so bad, that repairs were once again demanded. It wasn't until 1759 that the repairs were once again reported on, when the bridge was found to be in excellent condition. In October 1868, it was remarked that the Iron bolts holding the two 'composite' bridges together were in a poor state of repair. It was feared that should the bolts fail, the bridge may split and become unusable. In 1920, the brige was once again inspected, and found to be in need of yet more work. A quotation was received for the work, advising that the repairs would cost around £920. The advice was not acted upon, and only the bolts were inspected.